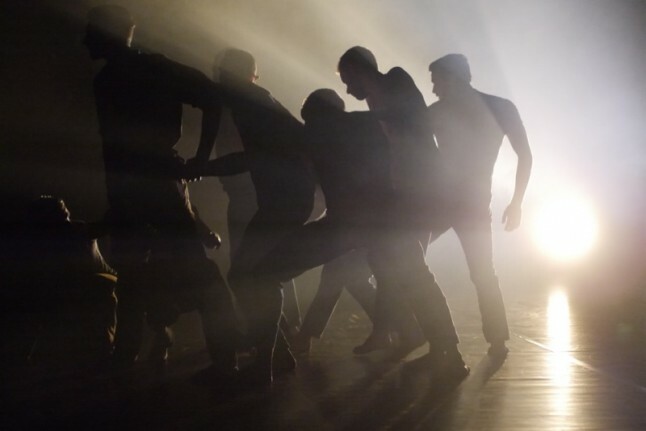 Balletboyz – ballet from another perspective! Ballet is graceful, emotive and in its standard form, it showcases male and female duets tremendously. But with times changing, the Balletboyz latest project, The TALENT puts a modern twist on traditional ballet…it’s made up of only males. Balletboyz was co-founded in 2000 by Michael Nunn and William Trevitt who were principal dancers for the Royal Ballet. In 2009 they introduced their new project, The TALENT. 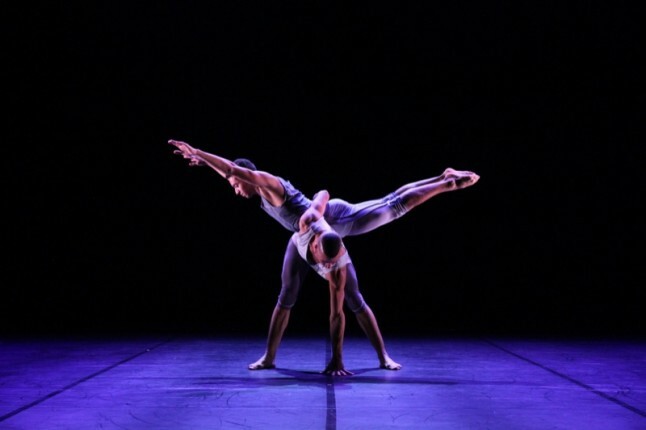 After selecting nine male dancers from a variety of backgrounds, Nunn and Trevitt mentored and coached them to create a company of first-rate performers. I recently saw the latest show by The TALENT, consisting of two pieces of dance ‘The Murmuring’ and ‘Mesmerics’ at the Lighthouse in Poole. The show began with a short film being projected for the audience, to introduce all of the dancers, and to give an insight into what their training involves for their performances. I thought this was a nice touch to the show and made me feel a lot more connected to the dancers when they walked onto the stage. Their first performance was ‘The Murmuring’ by Alexander Whitley. The stage was dark and a screen hung behind the dancers as their set. The lighting was simple and lit up the army of dancers as they flocked from one side of the stage to the other, with bird formation style movements. There were quotes before and after the performance, starting with one by Burns on nature’s state of change, and ending with one by Foucault on man’s willingness to die in order to revolt. The first dance was my least favourite of the two, but I still felt that it demonstrated the versatility of the male dancers and how they jelled superbly as dancers; both as individuals, a small group and as a whole. The ten dancers danced in tight and clean formations, like a flock of birds. There were small break outs of pairs and small groups as they smoothly and elegantly transitioned. One dancer was separated from the flock, and it was an intense moment to discover whether he finds his way back to the flock or perishes. The music for this piece was more of a humming sound that changed tone accordingly to fit the actions of the flock. I was impressed at the boy’s abilities to portray such intensity through their precise movements. ‘The Murmuring’ was original and really did explore new boundaries in regards to single gender dance. Next up was ‘Mesmerics’ by Christopher Wheeldon. This was a very different piece to the first. For one, it experimented more with close and intense dance, as well as with acrobatic style dance. The music was classical and orchestral, although I felt it could have played consistently through the piece, the music-less pauses seemed a little inconsistent. That little niggle aside, the throws, jumps, lifts and turns worked really well and the dancer’s movements were mesmerising. This specific piece also demonstrated just how powerful the dancers are. Full male dancers performing duets was magical to watch, because they filled their dance with emotion, power and passion. I especially loved the part of this dance where all of the dancers split up into small groups and merged into each other through smooth acrobatic tumbles, fast and light footed ballet jumps and lifts. All in all I felt that The TALENT performed superbly and I’d highly recommend going to see one of their shows!